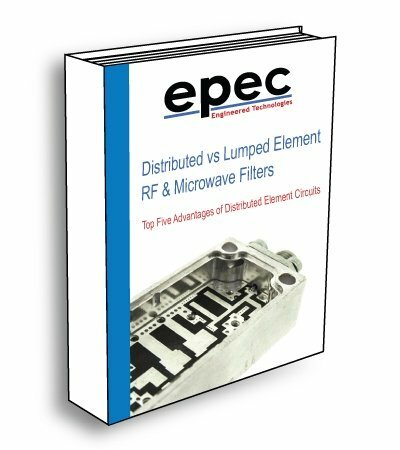 Epec Engineered Technologies designs and manufactures a complete family of radio frequency (RF) microwave products including microwave and specialty RF cable assemblies, passive RF filters, and coaxial cable assemblies. These products are utilized in satellite systems, mobile communications, radar systems, medical imaging equipment, remote‐sensing systems, and electronic warfare systems. Services include full mechanical and electrical design capabilities on all our RF product solutions. Our technical expertise in RF design enables support during all stages of product development from circuit design to a turn-key solutions that include phase-matched RF cable assemblies, loss-matched microwave cable assemblies (semi-rigid, conformable, flexible, hard line, and rigid) space rated cavity duplexers, LC or lumped element diplexers and duplexers, ceramic duplexers, triplexers, band pass or notch filters, band stop, and multi-band and SAW (Surface Acoustic Wave) duplexers. Radio frequency designs that face challenging mechanical, electrical, and environmental specifications are at the core of our strength. Our ability to match topology to each application allows for reduced package size while maintaining low loss, sharp rejections, and Voltage Standing Wave Ratio (VSWR) specifications. 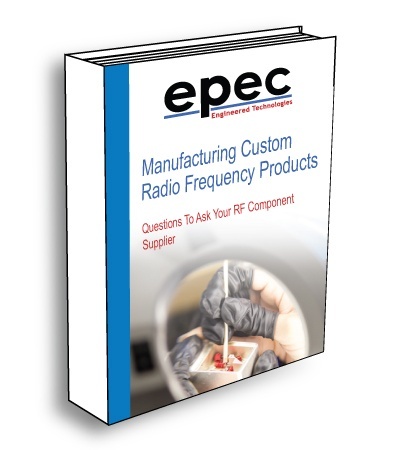 Epec designs and produces custom rugged RF solutions that solve challenges that include low insertion loss, broadband performance from DC to 26GHz, power handling and shielding characteristics, phase stability, and low weight and maximum flexibility. Even small details like being able to understand the importance of maintaining a characteristic impedance throughout the length of a custom RF cable assembly to ensure minimum reflected power (that is low VSWR) or how to manage the attenuation at the rejection frequency, or notch bandwidth in an RF Filter are all examples of what sets Epec apart from the competition. Transforming your concept into a reliable, cost efficient, production ready solution. With over 65 years in the manufacturing industry, you can trust in Epec to ensure your RF product is manufactured to the highest quality while exceeding all your specification requirements. We are here to help with all your custom RF product needs.